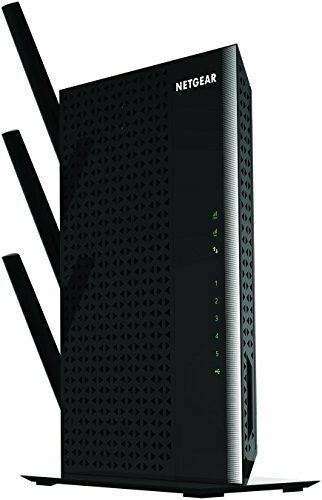 The NETGEAR Nighthawk AC1900 WiFi Range Extender boosts your existing network range, delivering extreme dual band WiFi up to 1900Mbps. The 700mW high-powered amplifiers provide extreme range, while the dual core 1GHz processor enables maximum WiFi performance. It works with any standard WiFi router & is ideal for HD video streaming & gaming. Get the whole-home connectivity you need for iPads, smartphones, laptops & more.